What words will be left behind about us by others? What words will be left behind about us by us? the lives we live are like a novel spread out to be read by those who live on after we are long gone. In recent years we hear a lot about our carbon foot print. What we succeed in & fail to accomplish leaves a mark for others to look at, learn from, build off of and live with. Our lives, after we are gone, only carry on by what we’ve written (lived). Our true bio is written by what we did & didn’t do. 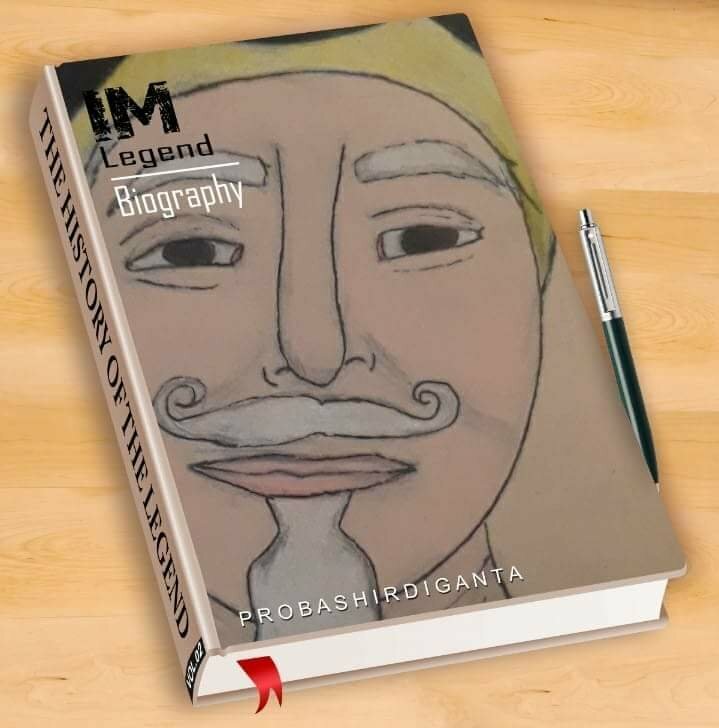 Our biography & autobiography is dictated by how we are as a person. Those closest to us will only know us from their perspective of who we are now. We live our portrayal, each day we add another stroke of a brush, another dot to an “i” and crossing of a “t”. May it be so. May I live & leave a good Bio. Don’t stop the music. My life, my song, my psalm is not over yet. An interview with Tom was broadcasted this past August (link to that: https://youtu.be/gRbMeYdIWdU) now we are back to talk about Hope & Healing through Rhonda B’s Bath Remedies. 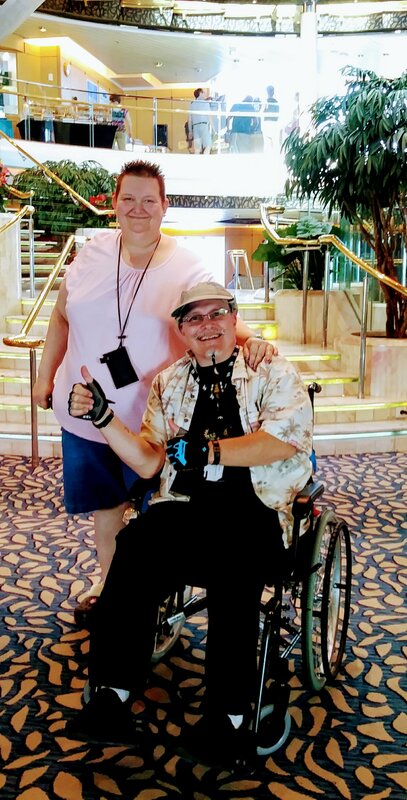 Rhonda is Tom ‘s wife & she started making bath products as a way to suppliment their income, especially since Tom has become disabled & unable to work. She is camera shy & mic. shy so Tom is the designated spokes person & helps write the blog post for their official website, RHONDA B.’S BATH REMEDIES. 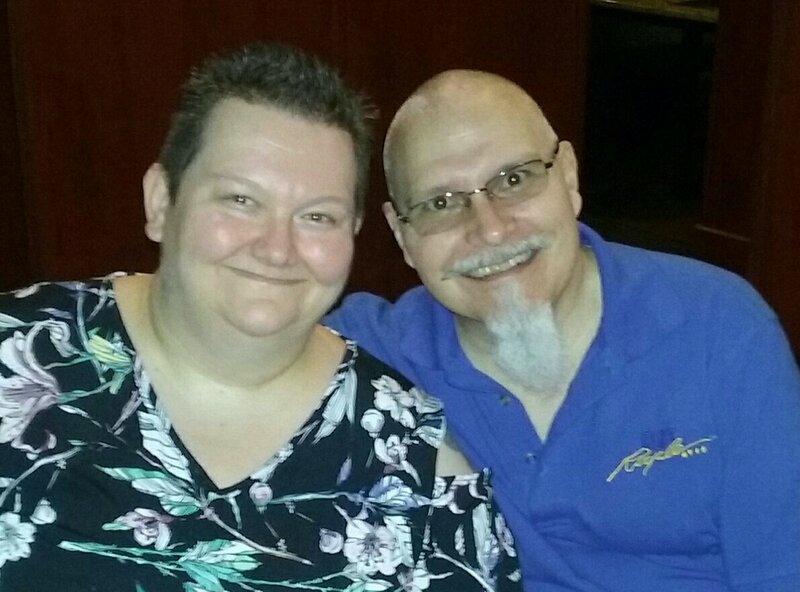 Tom & Rhonda have been married 8 years this September 2018. Rhonda is a Registered Nurse & this past 6 months or so she has launched a side business of making & selling soap as well as a variety of health products. Question: How did this all start and why bath products? Answer: Rhonda loves to cook and just like a chef puts together ingredients to make a great meal so also Rhonda puts together ingredients to make bath remedies. Her artistic ability goes into or is expressed by making soap and bath products which inturn offers help, healing & hope to others. I’m just her little helper. We launched a blog, “Rhonda B.’s Bath Remedies”, that showcases the bath products which she makes personally. All products & contact info. is on the site. She uses all natural ingredients and essential oils to scent her items. While natural products do have the potential to help with areas such as colds, anxiety, and many other areas of illness, this is not a guarantee or a cure. She encourages eveyone to always seek medical advice when needed. Rhonda is a RN (Registered Nurse) but not a Doctor and doesn’t practice health care out side of her work at the hospital. 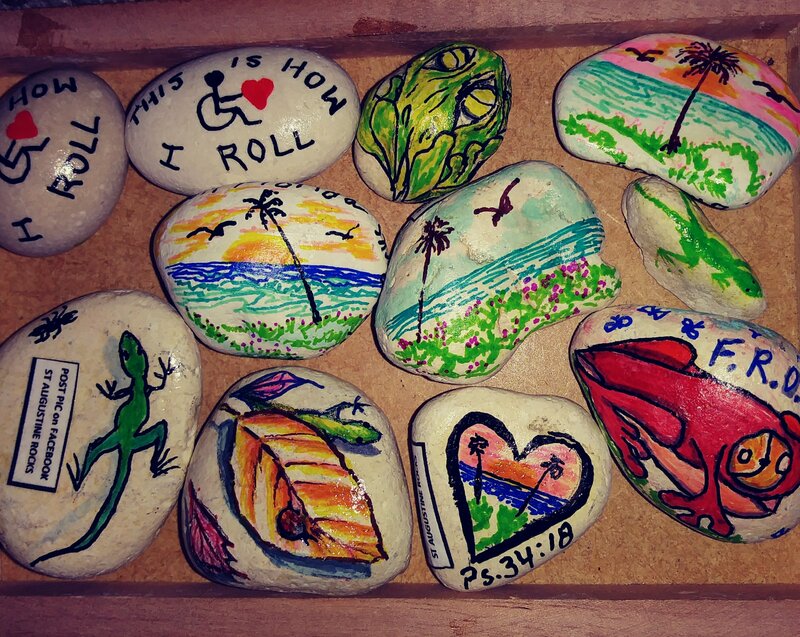 We have been living on just her income for a sometime now while I’ve been waiting for disability benifits and she started making things and realized that perhaps this would be a way to suppliment our income. Some products take a long time to make such as cold process soaps that take 4-6 weeks to cure. Of course when someone orders she lets them know how long it will take. If they have questions or would like to special order something such as a special scent of soap or bath bomb they just let her know through the contact info. on the website or a letter sent to her p.o. box. It all started & sprung from her creativity & the need to suppliment our income. Question: I want to ask about those products and how they work? What is a shower fizz? Answer: Shower Fizzes! YES! For those who don’t like baths or can’t take a bath in a tub these are for you! They come in a small jar with a lid & when you get into the shower you just take off the lid and place a few drops of water on the fizz and put it in the corner of the shower where it won’t get fully wet. Then you simply let the aroma fill your shower. Any type of bath bomb she makes she can also make into a shower fizz. Stuffy Head Shower Fizz. If you suffer from Allergies, got a Head cold or just get congested sometimes this can help your sinuses open while in a hot shower. Grapefruit Shower Fizz- when you need a little boost in your shower this shower fizz or the bath bomb version could do the trick! We learned to not sprinkle too much water on it at once because the scent will be extra strong! Just a few drops (5-10 drops) will do! Vanilla Shower Fizz –Who doesn’t like the scent of vanilla? It always reminds her of her mother baking Christmas cookies from when Rhonda was a child. Now your shower can smell like it! Rhonda’s mom died when Rhonda was just turning 14. When we uses this it brings back fond memories stimulated by smell. There is a real comfort when we use products like these. That smell, along with songs her mother use to sing to her & she steps out of the shower not only clean but comforted deep within. Question: Can you explain what a bath bomb is & how it works? Answer: Bath Bombs –These are fun to watch! You put this ball of natural ingredients & oils in the tub & it slowly dissoves & fills your bath. Stuffy Head Bath Bomb –This bath bomb will help you breath better if you have sinus problems from allergies or a head cold. You use it in hot water (but not too hot. You don’t burn yourself!). Then you just lay back in the tub for 20 minutes to get full effect. If you would like more than 2 bath bombs or would like different kinds of bath bombs, again email her and she’ll let you know the special price. Tax, Shipping & handeling is included in all the prices on the web site so for local people (Jacksonville, St. Augustine, Palm Coast, as far south as Daytona) the price is reduced greatly from what is listed on the site. A local residents just ordered a $10 item & because we didn’t have to add shipping it was only $5. Grapefruit Bath Bomb –This wonderful bath bomb helps give you that extra “boost” when you are feeling a little drained. Just relax in the tub & let it fizz, dissolving your problems away. Also, if you order 2 Grapefruit Bath Bombs you get more bang for your buck. Vanilla Bath Bombs- Who doesn’t love the smell of vanilla? Like the shower fizz, this relaxing aroma that fills the air can bring you back to days of childhood & perhaps holidays when your family baked in the kitchen. Question: Also, she has bath salts. What can you tell us about those? Answer: OOOOOOoooooohhhh YES. The bath salts for soaking not for smoking! They have helped me more than regular epson salts to relax & soothe my muscles. Just pour some in & soak in it, soaking in the minerals & nutrians. These are all handmade. So, the consistency of her products may vary from what you may be use to from store-bought products. These products are made with 100% natural products and, again, she uses only Essential oils, never fragrances. I can share a little secret here on why her salts are better than most… Along with the essential oils, she uses Dead Sea salt in her mix. Just like with the shower fizz & bath bombs there are a few different bath salts. If you’re feeling a little run down her citrus smelling bath salts can perk you right up! They come in a 12 oz bottle and you just use a little in each bath you take so it lasts more than once. I like the lavender one cause it does the opposite of waking me up. When I soak in it it soaks into me, soothes my muscles & the oils, not artificial fragrances, relieve my anxiety. I enjoy it as much as I enjoy the soaps because it’s doing all the work, you know what I mean, you just soak in it, there is no need to wash with it or scrub to activate it. What is a Bath Scrub? Can you tell our listeners how that product work? Yes, for instance, the Lavender-Dead Sea Salt Scrub. This pleasant smelling salt scrub exfoliates and moisturizes at the same time. For best results you can use it 1-2 times a week. Because it is homemade you take your fingers and mix the scrub. Then take some with your fingers and rub it on your body. Then just rinse and pat yourself dry with a towel. The Lavender Dead Sea Salt Scrub gives Multiple uses. It comes in a nice 20 oz glass container. Again, there is a special, lower price if you order 2 Lavender Dead Sea Salt Scrubs. Question: What is a bath tea? I know, it sounds really different but, Bath Teas are just that- tea that goes into your bath. Now, you do not drink these teas! You put the tea bag into your bath and soak for 20 minutes for full benefits. Relaxing Bath Tea are especially good if you are having a rough day. This pleasant scented bath tea will help you relax! Question: Can you tell us about the soaps & benifits they offer? Answer: These soaps she makes, using natural ingredients & essential oils, are so much better than store bought ones or ones processed in a factory. If you have never had homemade soap, they are not like store bought soaps which are actually detergents by definition. Store bought soap have all the glycerin taken out which is what makes soap mild on the skin and moisturizes it too. Since it is not a detergent like store bought soaps, it does not suds up like store soap but it does get you clean! The glycerin, a key ingredient if you don’t want to damage or dry out your skin, is one of the main components so while removing dirt and grime it adds moisture you skin needs to stay healthy. The Lavender Soap and grapefruit soap are very popular. The come in a 5 oz. bar. They are one of the most inexpensive products she offerd but they are not made cheap. I was amazed when I started using them. This soap contains charcoal, honey, and tea tree essential oil which all have antibacterial/antimicrobial properties. There is also Grapeseed oil in it which does not clog up pores and Coconut oil for moisture. many men suffer from break-out when they shave. I did until I tried African Black soap. Now I swears by it. It has also been known to clear up acne breakouts. (This is not a guarantee but it has been known to help. Everyone’s skin is different.) She puts it in a 9 oz foaming soap dispenser so you don’t have to lather up the soap. Normally you have to get it wet, let it desolve a little, then work it into a lather to apply. The special container has a pump so it comes out as foam so you don’t have to work up that lather. Question: Anything more you want to add? Answer: Thank YOU for this Interview & raising awareness to how Rhonda’s home made products can offer hope & healing. 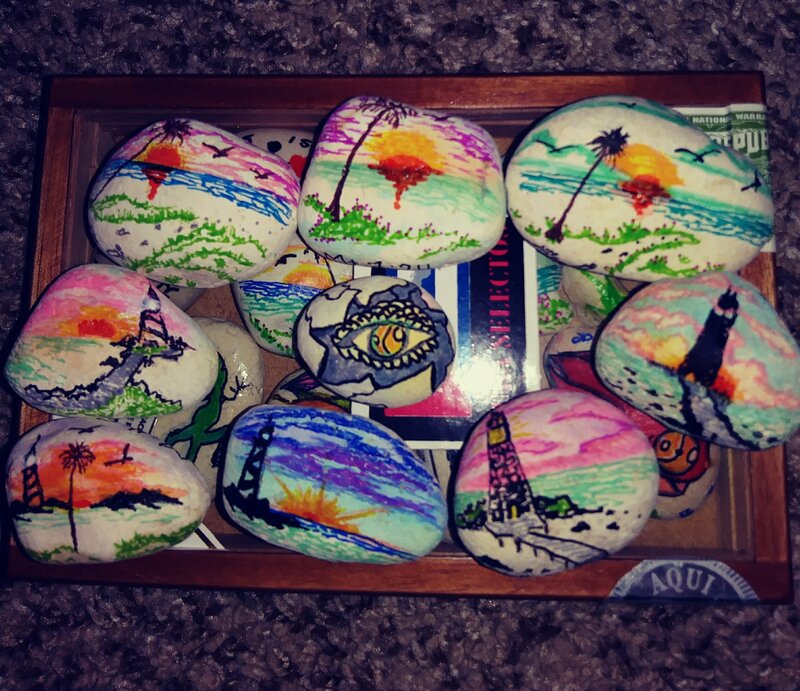 I express myself in writing, music & decorating rocks & if anyone mentions, “I WANNA ROCK!” when contacting & ordering her products we include one of my decorative rocks. MOST IMPORTANT THING IS TO GET ORDERS IN BY DECEMBER 1ST IF YOU WANT IT BY CHRISTMAS. I just wrote an article & set it to be published a few days ago but I am going to reiterate here what I was trying to convey. This is a condensed version of the prior article. I made a playlist of songs by a few artist I enjoy and the first 3 songs blended into one message for me personally. Thorns, giants, monsters, dragons and more are all there for a reason. If I face them alone I’ll be devoured if I trust on my God, who allows them to be there, He will fight them & make me humble & stronger having gone thru the battle. The Apostle Paul wrote – … to keep me from becoming proud, I was given a thorn in my flesh, a messenger from Satan to torment me and keep me from becoming proud. There are many “rock groups” on social media & so many videos about rock decorating on youtube. I’ll be publishing an article about The “Kindness Rocks Project” soon. Until then click above for an index of articles regarding how meaningful this art can be. Their Mission Statement -Within the belief that suicide is generally preventable, the mission of Project Semicolon is to help reduce the incidents of suicide in the world through connected community and greater access to information and resources. We believe that suicide prevention is the collective responsibility of each and every person on the planet. A semicolon is used by a writer when there is still more to be written. My story is not over yet, your’s isn’t either. Don’t let the way you are feeling dictate to you that life is over; there is more to be written, more to be lived. 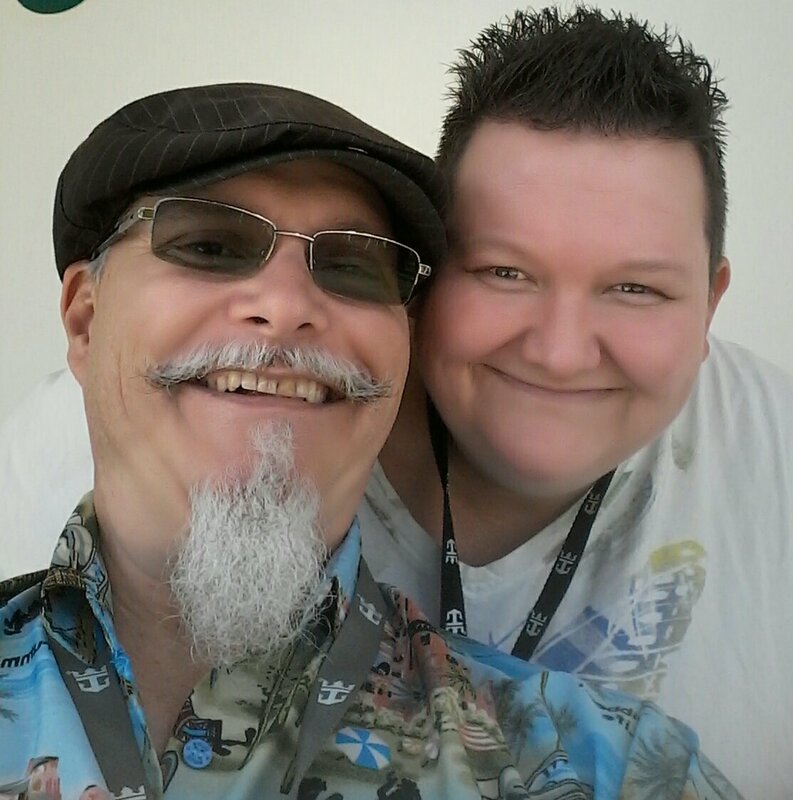 Go to 👉Project Semicolon👈 to hear inspiring stories and if you or a loved one is feeling confused, helpless, hopeless talk about it & seek professional help. I go to God in prayer with all I can not carry. It is because of the cross I can leave all my burdens there. I cry for help & HE reminds me He endured it all, while I was still unworthy, He died for me. Have ya ever put a playlist on & one song just stands out & gets you thinking about life? This song came on & just grabbed me. Hope it touches you too. When I looked up the lyrics I read a few personal interpretation of this song. It was pretty interesting. I have my own thoughts on it too but one thing I thought worth capturing here was how the next two songs that came on after this one formed one big message for me personally. But somehow, those memories never fade. They years don’t stop staring back. They’re as deep as the lines on my face. When you get too high you crash! Then suddenly I feel my feet again. I once fell over the edge. I never thought I’d walk again. I can’t pretend. I ran too hard. Living in a moment never meant to last. Now I’m crossing bridges that I’ve burned. Times like those teach us to live & love again. If I face them alone I’ll be devoured if I trust in my God, who allows them to be there, He will fight them & make me humble & stronger having gone thru the battle. The Apostle Paul wrote: If I wanted to boast, I would be no fool in doing so, because I would be telling the truth. But I won’t do it, because I don’t want anyone to give me credit beyond what they can see in my life or hear in my message, even though I have received such wonderful revelations from God. So now I am glad to boast about my weaknesses, so that the power of Christ can work through me. That’s why I take pleasure in my weaknesses, and in the insults, hardships, persecutions, and troubles that I suffer for Christ. For when I am weak, then I am strong. Think for a moment of each little choice we make as if it were a li’l link, just a bunch of li’l links that will join together and eventually make up a larger chain. When you look at 1 link it doesn’t look like a chain, it is just a link. When you put 3 links together, it is still not really a chain just 3 li’l links. But as each link is connected eventually it forms a chain. Life’s Choices, small actions, are like individual single links. It starts with just one link but eventually they are joined together and those small actions & choices can turn into a habit. Then that turns into being something I do automatically (2nd nature, without even thinking about it) automatic. Soon that thing we “do” (the link) turns into our identity, reputation formed by repetitive behavior (a track reacord, OUR M.O. -Mode of operation). Then those things we are linked to & that are linked to our reputation are simply just part of our nature. Not just how we are perceived by others but who are are. 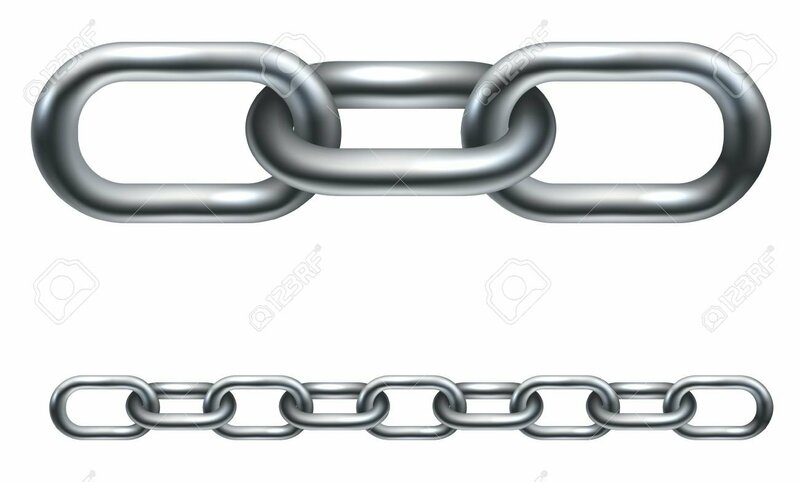 If we saw the large chain those links make we most likely would never have apply that link. Then again our human nature craves things that are naturally unhealthy for our body, mind & soul. When I step back & look at my life I can see the links in my life that have formed big, long, heavy chains that have weighed me down. I was a prisoner & held captive by those various chains. At times I just see one li’l link. I don’t always think about how it could be linked or connected to other things in my life that would form a chain. Practice anything long enough and it can be made perminant. My dad used the example of a vice. 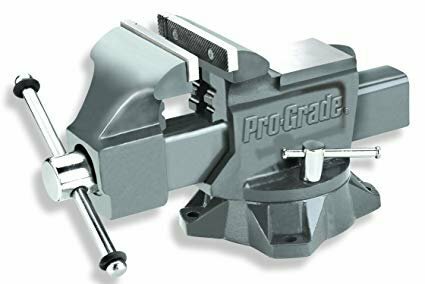 If you put your hands in that vice & let someone or something else turn it & keep turning it eventually you won’t be able to get your hands out of it. You have to have someone turn it the oposite way to free you once again. Many times we need help, professional help, financially, emotionally, physically, mentally, spiritually. If for some reason there are links joined together forming a chain holding you hostage & slave to something harmful & destructive I’d recommend 1st you pray then talk to someone that you know sincerely cares and also seek the help of someone who has invested their life & time into that particular area of profession. May God reveal to us the li’l links that form chains. This blog post contains just the 6th & final question from Deidre Reigel for the “Deidre Reigel Hope and Healing Radio Show ” & my projected answers. The following is taken from a rough draft I wrote in preparation for the Interview & was open to any changes & suggestions. We didn’t stick specifically to this as a script but it helped me to stay on topic. To hear the whole show for that day go to: “Deidre Reigel Hope and Healing Interviews Tom Bailey” on YouTube If you enjoy it be sure to give it a 👍 like 👍 and subscribe for more interesting & inspiring pod casts. Here is basically how I answered just the 6th question asked of me during that radio show. (Links below lead to articles regarding the other 5 questions. I replied, Yes! 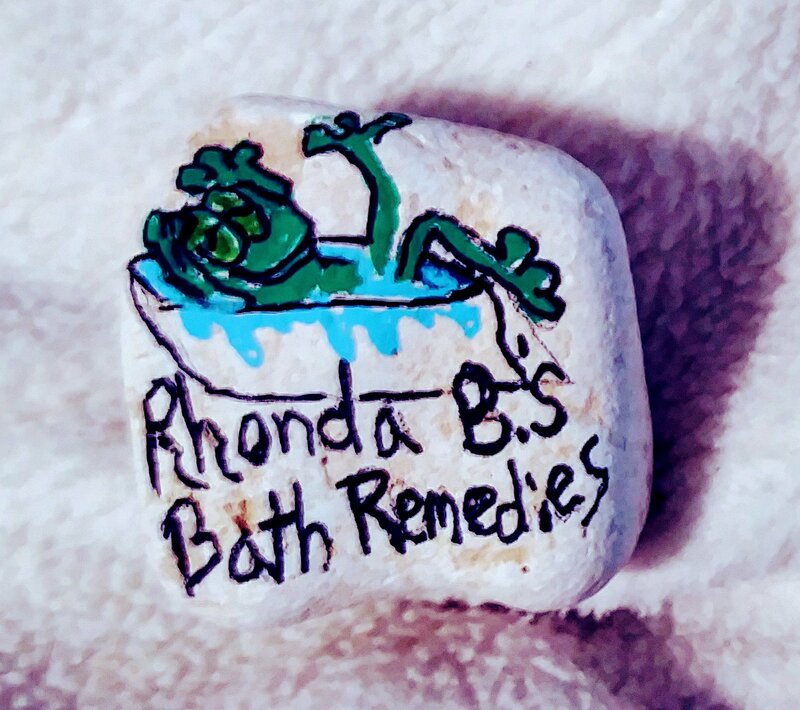 Rhonda B.’s Bath Remedies. The products that she makes aren’t just so that you smell good, although I need it for that too, they can really have a great positive effect on your physical and mental health. My wife Rhonda hand makes soaps, bath teas, bath bombs, shower fizz and face scrubs. The products have natural herbs and essential oils in them with no chemicals added so that when you use them there is a healthy possitive effect. For instance, the bath bomb, it feels good on your skin and has a great effect physically but it’s also very relaxing for a positive state of being. The bath salts, much like epson salt soaks, really help relieve my pains. The shower Fizz can help open up your sinuses & take away headaches by simply breathing in the herbs & oils released from the steam. The lavender soap can stimulate you mentally and help you relax. A lot of people, including me, especially love the all natural lavender soap she makes. It has a great effect on my skin which affects me physically but also makes me feel good mentally. I’m big on taking baths! Although we have a really small tub right now I get in there and breathe in vanilla and lavender. My body absorbs the essential oils and the fragrance relaxes my mind. Using them allows for a restorative process. This concluded the radio show for now. Deidre wants to do another one with me soon. I’ll do my best to include that one as part of my blog as well. 🎧✒This was just the 1st of a few questions Deidre asked & I was blessed to be able to answer. This blog post contains just the 5th proposed questions from Deidre Reigel for the “Deidre Reigel Hope and Healing Radio Show ” & my projected answers. The following is taken from a rough draft I wrote in preparation for the Interview & was open to any changes & suggestions. We didn’t stick specifically to this as a script but it allowed me to stay on topic. Here is basically how I answered just the 5th question. Deidre proposed the following : You struggled with mental health issued and I was sad to hear that your son committed suicide due to his mental health, what are your thoughts on mental health and how do you manage your own mental health? we can come to understand that because we see it and it’s common but with mental health it’s happening on the inside and we can’t see it anymore than we can see cancer cells or a diabetic’s sugar levels. In regard to mental health when serotonin or other natural chemicals in the brain get off-balance they can actually cause people to want to do things that they normally wouldn’t do or that the average person wouldn’t think of doing. In some ways the effects bipolorism have on the brain is like having a superhero power because some who is manic depressive will express themselves differently and maybe do some things other people just didn’t do or wouldn’t do. I’ve notices some people enjoy watching or listening to what comes from that creative, sometimes over creative, state of mind. I think of some of the comedians that I’ve been compared to like Jerry Lewis or Jim Carrey or Robin Williams (well known people we’ve all seen) and people say to me you know I love that upbeat, funny, silly, creative drive you display. What they’re seeing in me is often mania (part of manic depression or being bipolar) and I think perhaps in a lot of artist what we’re seeing is mania or sometimes depression being expressed through their art and we are entertained by them because what’s inside them is coming out. When no one is around is often when the harsh side or ugly charateristics of any mental health issues come out. I travel on the “bipolor express”. I joke about how it all started because when my parents took me to the playground as a kid they put me on the mood swings. I had a great childhood. The only drug problem I had growing up was my parents drug me to Church. Regardless of how good our environment was or currently is mental health is a health issue & effects us no differently than any other commomly known physical health issue. It’s part of being human. Not everyine will suffer from congestive heart failure or pneumonia just like not everyone will suffer from psychotic episodes or and other mental health issue. With my son, he was in great shape physically (went to the gym all the time). He was in very good shape spiritually (read, studied & lived out the word of God. He share his faith with a lot of people). He even made YouTube videos (Pressing Words Youtube Channel) & published articles on his blog (Pressing Words – The Spilling of a Lost & Found Mind -www.lexbailey.wordpress.com) where he did little messages from the word of God to encouraging people. So, although he was healthy & strong physically & spiritually, mentally he struggled. It had nothing to do with how he was raised or how he lived his life. It was like a civil war going on in his mind and he tried to manage it the best he could but he got so sick of taking the medications they were telling him to take & feeling like nothing could help him balance out these overwhelming feelings & aweful desires. He was overcome with this fog in his mind. He got so sick that the chemicals in his brain drownded out the normal/balanced healthy rationale thoughts. He was only 22. I remember when I was 22 and wasn’t even aware of what bipolorism was. I had some crazy thoughts but it wasn’t until close to my 30’s when I faced a bit more external stress & met head to head with suicidal thoughts of my own. It was in 1997 I was diagnosed. No one likes being labled crazy or disabled in any way form or fashion but when you recognize how you may be different from the average person that is the first real mile stone in letting your “disability” & opposition present a new opportunity. The mandarin word for hope is actually two words when translated into english and that is “opposition & opportunity”. Without opposition why would we even need hope that things were better? That is why I got that Mandarin character on my writst, right where one may consider slicing in frustration. If you realize you’re not thinking clearly and there’s this fog in your head it helps if you have enough sanity to know that it’s going to be okay, it’s not okay right now but you honestly admit your weakness that something is wrong with you it will help get you back on the road to where things are manageable again. I wrote an article I called The Fog Blog 👈click to go to it. 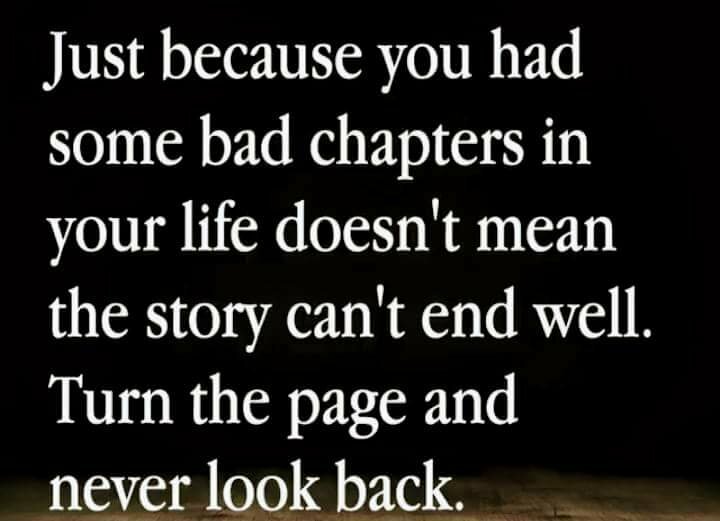 Sometimes it takes family, a friend, a counselor, treatment or even hospitalization, to point this out but only we can take the steps in the right direction toward doing what it takes to start thinking & living clearly again. The fog can be blown away but waiting for that change is the hard part. Sometimes the deterioration of our health is unavoidable, it’s part of who we are as humans, but there is help out there for us before we become so ill that it leads to self medicating or an early death. I also want to be sure to say that our physical, mental & spiritual health is not always directly connected to each other. What I mean by this is that you could be in the best spiritual shape & in the best time of spiritual awareness as possible and yet physically or mentally deteriorating because we are all mortal, we are human. What you see when you look at me is just an earth suit. I personally don’t believe we are just human beings on a Spiritual quest. We are all Spiritual beings (we have a soul & spirit) and we all face this experience of being human while our bodies are just housing our spiritual lives, just a shell. For me personally in 1997 my suicide attempt was unsuccessful & I got help. taking the medication they told me to keep taking & not stop taking just because I feel better & good. The medicines keep the right chemical balance. I also make sure I’m getting enough sleep, that is very important to me because when I am manic I feel like I don’t need sleep & can’t sleep. In addition to this, I am consistently trying to keep things in balance around me, which isn’t always possible because there are certain things, people, situations & circumstances that are unavoidable but sometimes I have to avoid certain people or places or things because it will make me manic. To stay balanced sometimes we have to keep things around us in balance. Spend more time in healthy environments than in unhealthy environments. Certain people & even places can be toxic. Also, after a time of great excitement I have to do things to help me unwinde & relax, to come back down to a middle state of being without crashing all the way to the bottom. Those recreational activities (even rest & relaxation) help re-create us. So we in turn can create thing, accomplish things & get that feeling of serving a purpose. Good encouraging relationships are so important too. I still have 4 daughters (Kyri, Olivia, Madi and Abbey), my wife Rhonda, 2 sisters & my parents are still alive & still very supportive. They, along with extended family & friends who are like what a healthy family should be, offers me a healthy environment. The balance doesn’t always come easy. I personally need prescribed medication along with a living environment that doesn’t have too many triggers that I’ve learned will set me off or cast me into mania or depression. link to 👉 The Fog Blog👈click those words to read.